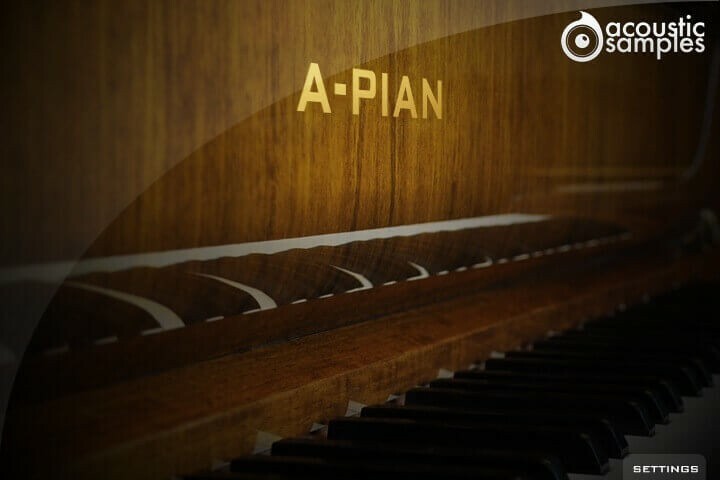 This particular piano was build in 1960 and is reffered to as a "crapaud" ("Petite Grand" in english), which means that it's a little smaller than a "quart de queue" (baby grand). 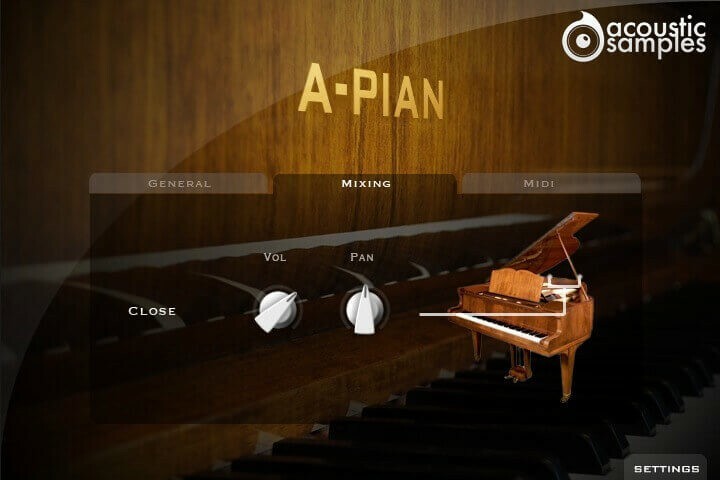 On the A-Pian, the Mixing settings are only a control over the volume and pan of the library. 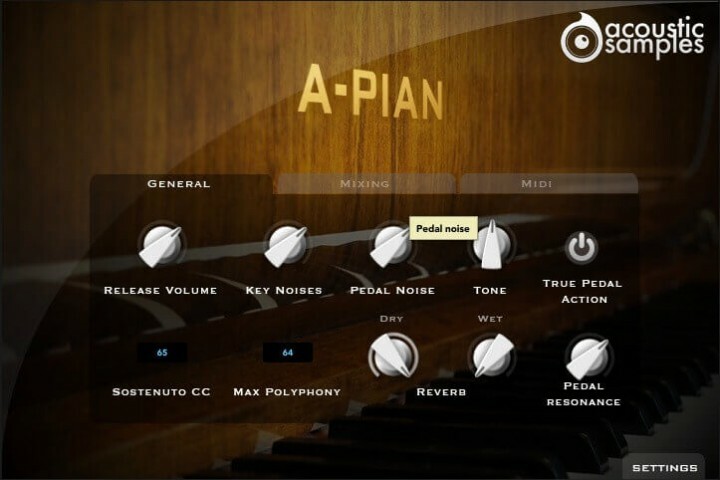 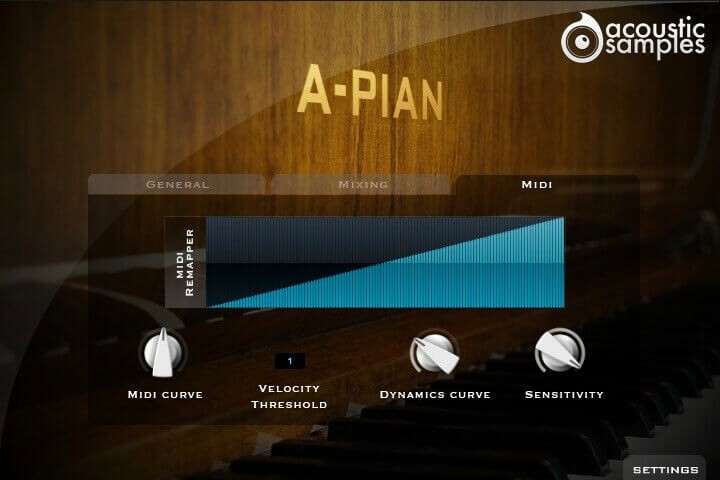 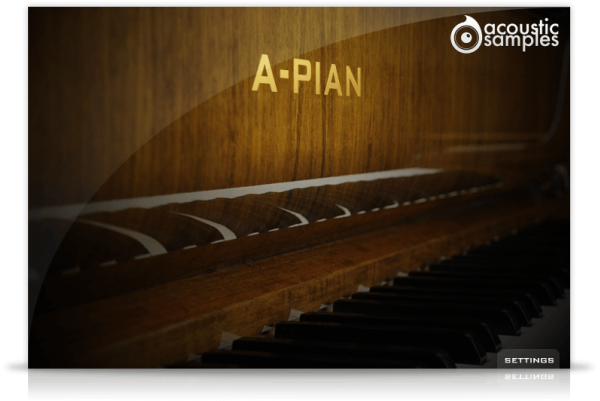 A-PIAN comes with its own sample player, the UVI Workstation 3 (requires v3.0.0 or later). 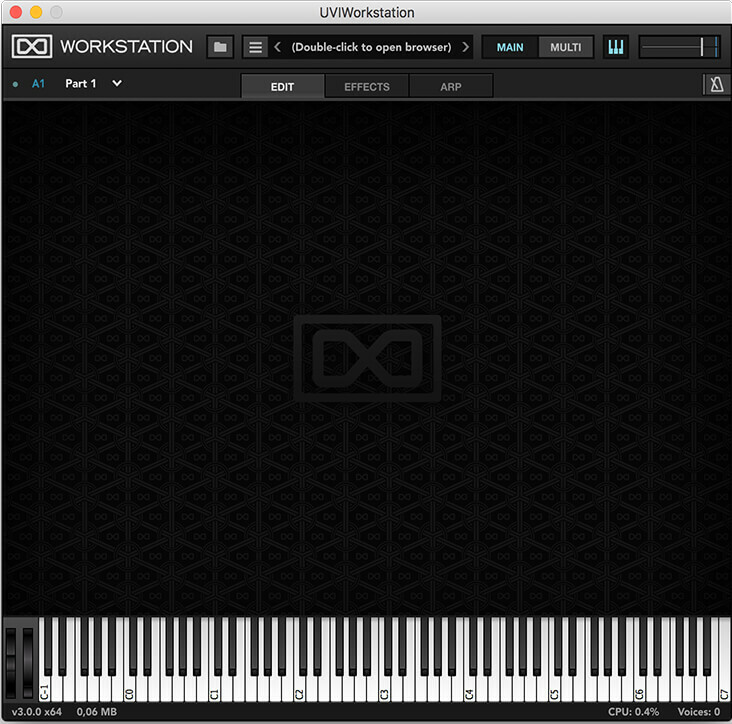 820Mb uncompressed, 107Mb compressed in lossless flac format, around 232 samples.